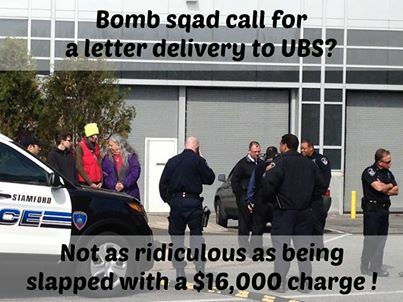 Yesterday, three members of Hands Off Appalachia tried to hand deliver a letter to UBS Americas headquarters in Stamford, CT. UBS’ response? Twelve police officers and the bomb squad! CvC member Anthony Sorge speaks at the “NSA: Stop Spying on Us” forum. Even mainstream greens are being spied on. Join the “NSA: Stop Spying On Us” rally in Hartford on July 18th!